23andMe is excited to announce the launch of our first National Institutes of Health (NIH) funded research project. In the fall of 2010, 23andMe received a NIH Small Business Innovative Research Grant (SBIR) to validate our web-based approach to pharmacogenomics research. The NIH is the largest source of medical research funding in the world. Through its support of innovative training programs and scientific projects, the NIH facilitates medical discoveries that lead to improved health and quality of life. NIH grants are highly coveted by industry scientists and academics alike. In addition to the funding itself, the NIH grant demonstrates support and recognition of our work by a leading governmental research agency. 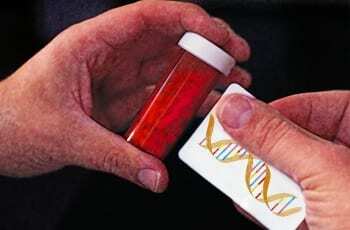 Pharmacogenomics aims to transform the “one size fits all” approach to drug use and development to a more personalized one in which an individual’s genotype helps determine the most effective and least toxic medication. 23andMe’s Drug Response reports provide a glimpse into the potential power of this approach. For different individuals, the same drug could be lifesaving, have no effect, or even be life threatening. The initial phase of 23andMe’s pharmacogenomics project will attempt to replicate known genetic effects that influence the efficacy and tolerability of three classes of medications: Warfarin, a commonly prescribed blood thinner; proton pump inhibitors, the most frequently prescribed medications for acid reflux; and nonsteroidal anti-inflammatory drugs (NSAIDs), such as aspirin, ibuprofen, and naproxen. Our customers who have taken or are taking any of these medications should look for these surveys in the coming months. A subset of people who complete each of these surveys will also be contacted for phone interviews to help assess the quality of information we are able to collect over the web. The purpose of this first phase is similar to that of our first research publication: to demonstrate that we can replicate known genetic associations using the web-based survey data volunteered by our customers. Our pharmacogenomics project is distinct, however, in that collecting self-reported medication information via the web presents unique challenges. For example, recall of medication use and side effects may be poor and difficult for individuals to accurately report. The use of multiple medications may also complicate efforts to isolate which medications cause specific responses or side effects. Still, the potential rewards are tremendous — validation of a large-scale, cost-effective, and rapid approach for discovering new pharmacogenomic markers would be a significant contribution to personalized medicine. We hope you share our excitement about receiving this funding for one of our top research priorities: the advancement of personalized medicine through genetic studies. In the spirit of the 23andWe research paradigm, we will continue to work together to make research discoveries and learn more about the information encoded in our genomes.